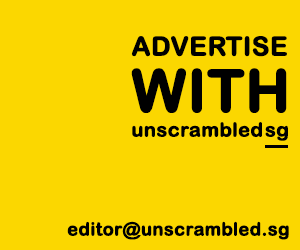 TL;DR – Tough times call for unusual measures. Not too long ago, I found out that there’s something really strange about the Employment and Employability Institute (e2i). I found out that one of the key planks of e2i’s work is to help companies improve their productivity. What does that have anything with helping Singaporeans get gainful employment and be more employable? Why is e2i doing such a thing? I just couldn’t understand it. So when an opportunity to attend a cozy sharing session with e2i’s CEO came along, I just had to say ‘yes’. One of the activities during the sharing session was for us to try out plating! Anyway, after meeting and speaking to e2i’s CEO, Mr Gilbert Tan, I now understand why e2i is doing something so unusual. Because one of the better ways to ensure that Singaporeans have better jobs is to help to create those jobs. And a great way to create better jobs is to help companies improve their productivity. Jobs can then be redesigned so that employees share in the productivity gains, which leads to better skills, better jobs, better pay. Mr Gilbert Tan, e2i’s CEO, explained how the Labour Movement started the 100-million Inclusive Growth Programme (IGP) in 2010, and how productivity gains are passed on to the workers through higher wages. 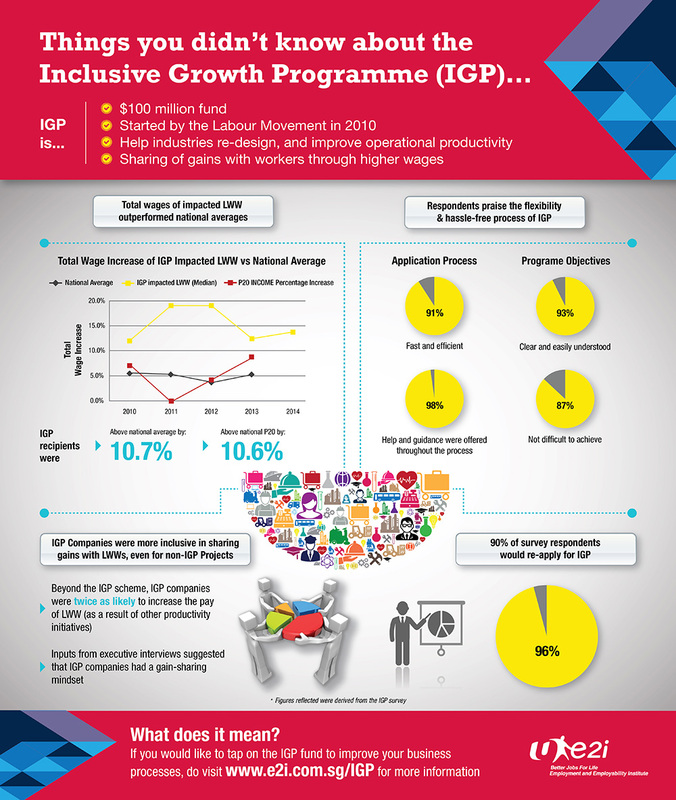 The e2i helps companies improve their productivity mainly through the Inclusive Growth Programme (IGP). Companies can tap on the IGP to fund projects to improve productivity. The IGP provides up to 50% funding for equipment, tools and/or software. The best part is that companies don’t need to fill in lengthy application forms. We found out that the application process is quite simple. What’s most important is that you can convince e2i that with their help, you can improve your productivity and are committed to sharing the productivity gains with your employees. After that, e2i will work together with you to come up with the best solutions. Sounds too good to be true? We found out that it actually works. Mr Jeremy Nguee, Business Director of Preparazzi, the company that owns and runs Fix Cafe, shared how his company benefitted from e2i’s IGP. Preparazzi is a high-end catering business. The specialise in large scale VIP events. Their regular clientele include luxury brands, and high-end retailers. But the retail sector slowed down significantly and cut down on marketing events. Mr Jeremy Nguee, Business Director of Preparazzi, revealed the challenges the business was facing at one point, and how e2i’s IGP helped to pivot their business and save jobs. As a result, Preparazzi’s business was faced with a massive challenge last year. It was so bad that at one point in time, they were considering either closing down or merging with a larger catering company. If they chose either of those options, they would have to let go some of their staff. They used the IGP funding to pivot their business model. In addition to their catering business, they added FIX Cafe to their business portfolio. Jeremy told us that they used the funding from IGP to help pay for the machinery and even the takeover fee of the cafe. He also shared that e2i was very open to negotiation. e2i agreed to fund some things which Jeremy thought didn’t meet the criteria for IGP funding. Basically, it was clear right from the start that e2i was there to help the business so that it could help the workers, and not to place hoops of fire for them to jump through. As a result of the IGP funding, Preparazzi was able to redesign the work in the cafe. The company were thus able to keep their staff. Not only that, they were able to hire more staff. They used to mainly hire chefs. Now they can hire other roles, including front-of-house staff, people to do marketing materials and run marketing campaigns. Such a setup also allows Preparazzi to provide their staff greater training opportunities and career growth. Jeremy told us some of their staff who joined them as cooks at the cafe have expressed interest to learn about the fine dining catering business. So Jeremy has gotten those staff involved when they prepare for those large scale VIP events. It seems that e2i’s IGP does have great potential to help companies. This, in turn, creates better jobs, which eventually helps Singaporeans have a higher chance of getting better employment and be more employable. But that’s not the only benefit of e2i’s IGP. Mr Gilbert Tan, e2i’s CEO, explained that e2i’s IGP is one way to encourage workers to continually upgrade their skills and keep progressing in their careers. Employees move in their careers for two reasons – either because of the “whip” or the “carrot”. Losing their jobs is a significant “whip”. But it’s often too late to start looking for jobs or go for re-skilling after they lose their jobs. What NTUC wants to do is to help the unemployed of tomorrow to move into jobs of tomorrow. To do that, employees need to have sufficient “carrots” to upgrade their skills and be prepared to move today, while they still have jobs. Companies can provide these “carrots” by signalling that employees who upgrade their skills can have far better job prospects. And that’s where e2i’s IGP comes in. It can help companies to redesign jobs into those that add more value and thus pay better. This would then be the “carrot” to encourage employees to go for training, improve their skills, or pick up new skills. All of those would then help employees get ready for tomorrow’s jobs. Given the changing nature of work and society, we need new, and some times unusual methods, to help Singaporeans continue to have access to good jobs. The things that e2i is doing are some of the examples of such unusual things. There are certainly more that need to be done. But these unusual things that the labour movement is doing is certainly points to a good starting point. then, why the company i worked for 5 years & 7 months asked me to leave the job, instead of creating a new one for me? and another reason is, they are going to have a automotive voice system, therefore no need any receptionist, when asked, they said, they are not going to restructure any of the company systems. in another words, they only want me to leave & gave my a sum of seven thousand plus & asked me to leave. i left, but my hospital fees is a very big problem now to me. i have not even include my blood tests fees & my medication fees in which costs me thousand of thousands of dollars per year, for i am a Lupus & kidney transplant patient, now i have problem with my heart, too. And, the company abounded me because of all these? may you let me know is that the right thing to do? please contact me via my email, if you cannot get me on phone.